Former Arsenal star Santi Cazorla has revealed that he regrets leaving the Gunners without bowing out at the Emirates in front of the club’s magnificent fan base, an ardent following from the terraces that the resurgent Spaniard has an everlasting ‘affection’ for. 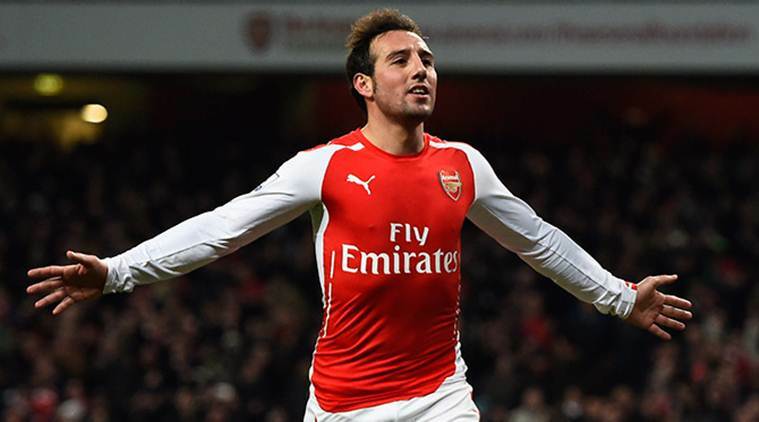 Towards the end of the 33-year-old’s career in north-London before his summer switch to Villarreal CF – the outfit Arsenal formally purchased Cazorla from – the diminutive playmaker endured a perilous 2-year spell on the sidelines as he battled debilitating injury problems that nearly led him to have a foot amputated through gangrene. Cazorla recovered from the harrowing setbacks and initially trained with Arsenal during pre-season, but as Unai Emery was keen to finalise his squad for the 2018-19 Premier League campaign, the experienced midfielder was ultimately shown the door. Since his move to the Estadio de la Cerámica, Cazorla has seemingly sealed himself an undisputed starting spot in Javier Calleja’s set-up having started all 3 of the club’s opening La Liga encounters and the versatile craftsman – speaking to The Guardian – insists that he understood why he had to head for pastures new. “No, they didn’t want to. They were very good, very honest. My idea was to do at Arsenal what I eventually did here [at Villarreal].” He said. “I knew whoever was going to sign me would have to see me first: nobody just gives you a contract. Pre-season with Arsenal, let them see me, then we all decide. But they couldn’t wait to finalise the squad. Adored by all that watched him construct and dissect defences on a weekly basis for Arsenal, Cazorla wishes that he was able to cap off his glittering 6-year spell on English soil by bidding farewell to the supporters at home, although that particular privilege simply wasn’t to be for the beloved matador. “Not being able to say goodbye playing at the Emirates is like a thorn in my side. If I had to leave, I wanted it to be in front of the fans.” He added. Share the post "Former Arsenal star reveals regret of not bowing out at the Emirates"